Everyone needs a little "me" time. 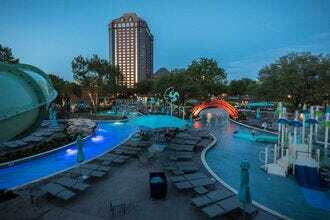 Enjoy yours by spoiling yourself at some of the most posh luxury hotels Dallas has to offer like the Four Seasons Resort and Club Dallas at Las Colinas. Indulge in ritzy, on-premises upscale dining or pamper yourself with plush king-sized beds at luxury hotels like Hotel ZaZa. 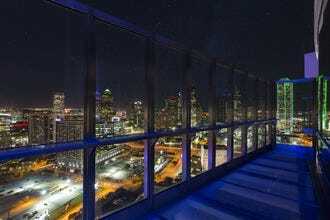 If you travel extravagantly, Dallas luxury hotels are the only way to fly. 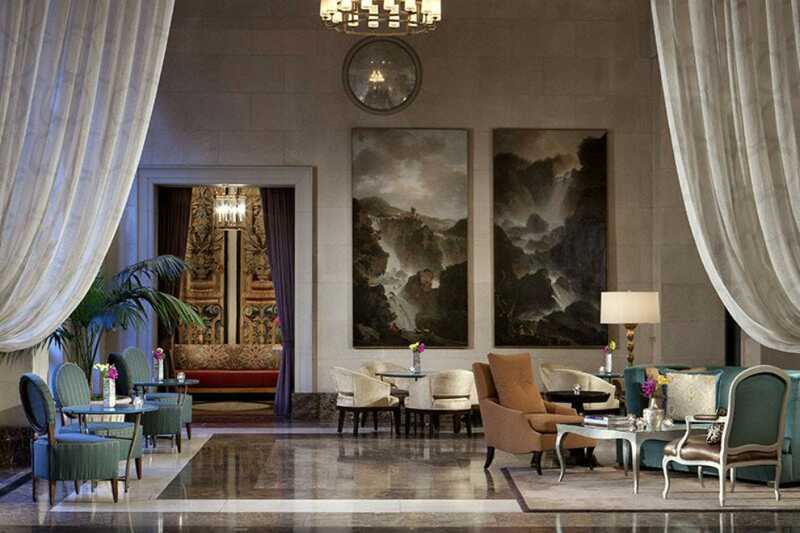 If you're planning a business trip to Dallas, the most luxurious hotels near the Downtown and Uptown neighborhoods include the Fairmont Dallas, within a 2 minute walk to the Dallas Museum of Art and other attractions and buildings in the Dallas Arts District. 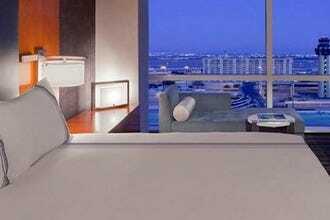 Planning a romantic getaway with your sweetie and want to stay in a Dallas luxury hotel? There's no more romantic hotels than the Rosewood Mansion on Turtle Creek or the Adolphus Hotel in downtown. Both of these luxurious hotels feature breathtaking decor and two of the most romantic (and expensive!) restaurants in all of Dallas. 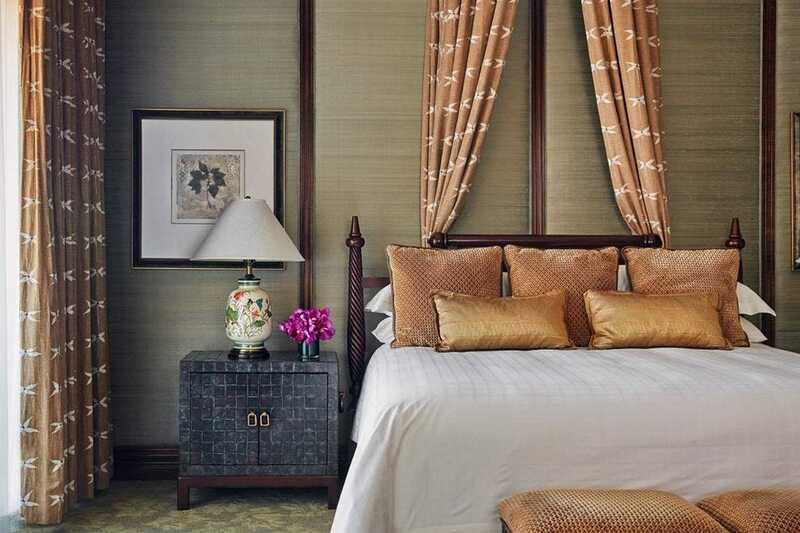 If you're a traditionalist at heart, there are certainly no better hotels that conjure up the image of luxury than the Ritz-Carlton and the Four Seasons. 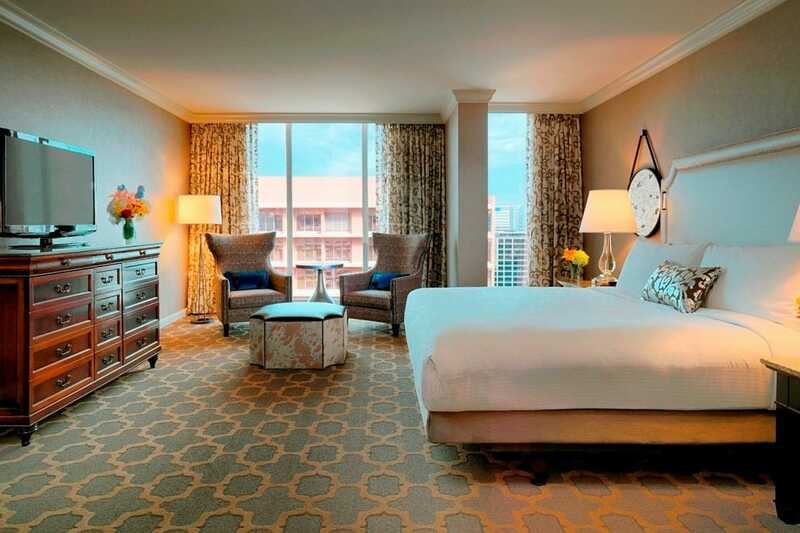 Lucky for you - Dallas has both of these luxury hotels! The Omni Dallas Hotel, in the center of the revitalized downtown Dallas, is connected via sky bridge to the Dallas Convention Center. Omni Dallas Hotel is built to meet the U.S. Green Building Council LEED Silver Certification standards, placing it on the forefront of environmental awareness and conservation in the city. There are several onsite dining choices including Bob's Steak and Chop House, Texas Spice, the Owner's Box and Omni's gourmet coffee shop, Morsel's. The hotel includes a full-service Mokara Spa, rooftop terrace pool deck and a spacious fitness center with stunning views of downtown. It's the perfect place to relax between sessions. The Fairmont Dallas is a great luxury hotel in which to stay when in town on business or leisure, as it is within walking distance to all of downtown's fine dining restaurants, shopping, arts and attractions, including the Dallas Museum of Art, the West End neighborhood, the Nasher Sculpture Center and the Sixth Floor Museum. It is also within walking distance of Dallas' financial and business districts. This luxury hotel combines Texas hospitality with Southern elegance. It features a rooftop pool with table service, along with an award-winning four-star restaurant, Pyramid Restaurant and Bar, that specializes in wine and local and organic cuisine. Looking for a luxurious hotel that has history, as well as modern style? The Magnolia Hotel Dallas is perfect! 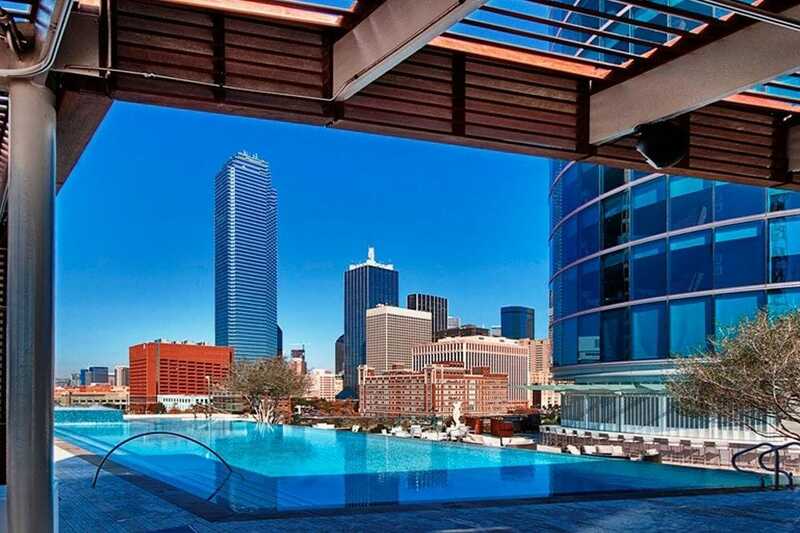 Situated in the heart of Downtown Dallas, and featuring the Dallas icon - a rooftop Pegasus, this high-rise hotel will set the ideal background for your luxurious getaway. The 29-story building was built in 1922, Dallas' first skyscraper, but it now features contemporary decor and interior design. It is within walking distance of a wide variety of great restaurants, bars and shopping. The tastefully-appointed guestrooms there have several amenities, including 32-inch flat screen televisions, in-room movies and luxurious bedding. Guests can enjoy a meal at the onsite restaurant or simply set the tone for an evening out on the town at the lounge bar. 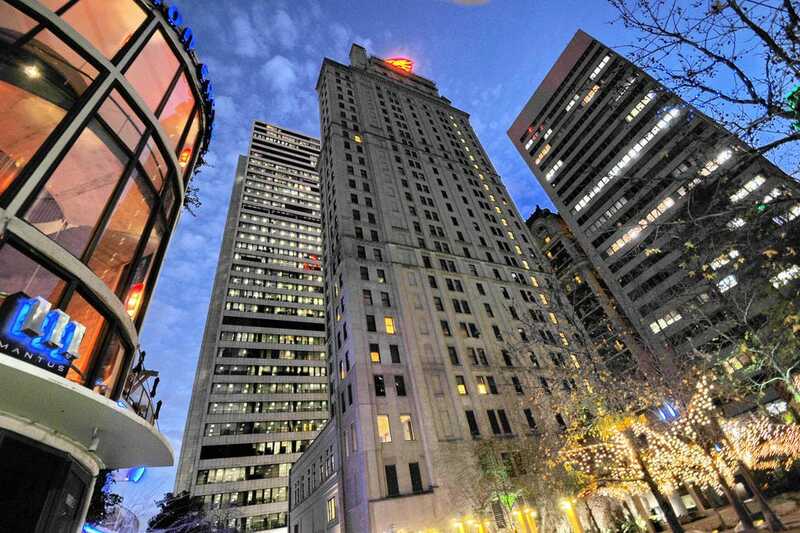 Located in the heart of Downtown Dallas, the Adolphus Hotel is the perfect historic hotel for Dallas visitors who want to enjoy all of the city's finest offerings. It's near several entertainment districts, the Arts District and the flagship Neiman Marcus store, the ideal place for some good 'ole Dallas shopping. The hotel itself exudes a historic and romantic vibe, with its baroque architecture and unique decor, including Flemish tapestries and a Victorian Steinway in the lobby area. Hotel guests can also partake in an elegant dinner at the onsite French Room restaurant - one of the best places for a Valentine's Day dinner in Big D. The award-winning restaurant has a domed ceiling painted with frescoes and hand-blown crystal chandeliers. 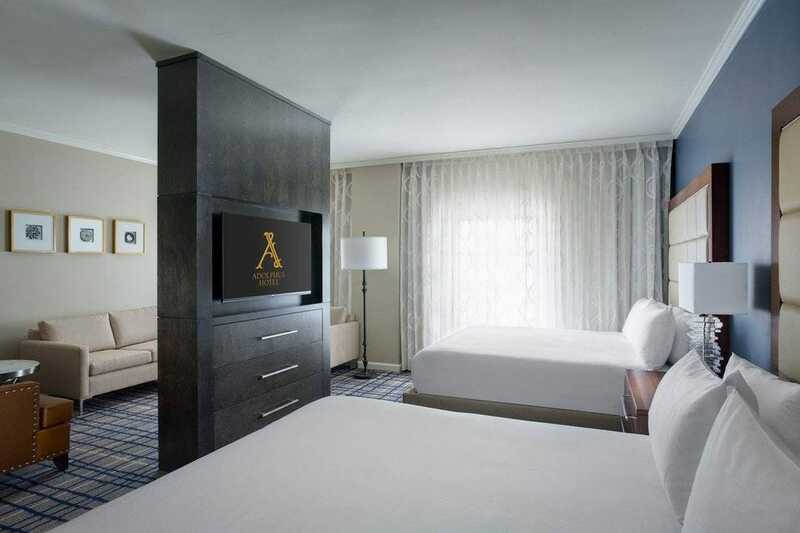 The 422 guestrooms and suites there have several luxurious amenities, such as plush beds (with pillow top mattresses and 250-thread count triple sheets), 32-inch flat screen TVs and in-room movies. Located just north of Downtown Dallas across the street from Southern Methodist University and the popular shopping area, Mockingbird Station, The Highland Dallas - part of Hilton's Curio Collection - is a great place for trendy guests who enjoy the finer things in life. Spend time at the rooftop pool, gazing at the downtown skyline, or indulge in a massage or yoga class at the onsite spa and yoga studio, Exhale Spa. The guestrooms at this hotel have minibars with organic treats and flat-screen plasma televisions, as well as pillowtop mattresses and Italian Frette linens. Get room service from the acclaimed hotel restaurant, Knife. 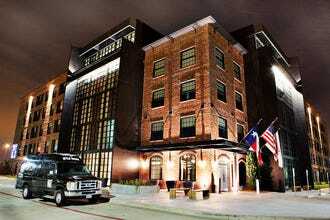 Dallas visitors in the mood for adventurous luxury can stay at Hotel ZaZa, located in the Uptown neighborhood. This chic boutique hotel features a wide variety of themed suites, including the Moulin Rouge, Erotica, Far East, Bohemian, Shag-a-delic and Opium suites. The hotel also has a world-class onsite spa, fitness center and a Dallas hot spot, the Urban Oasis pool. The Urban Oasis offers chilled hand towels and poolside grill and cocktail service, and the trendy onsite Dragonfly restaurant is the perfect place to grab a gourmet bite to eat. Stay on this luxurious property or venture out into the upscale Uptown neighborhood. 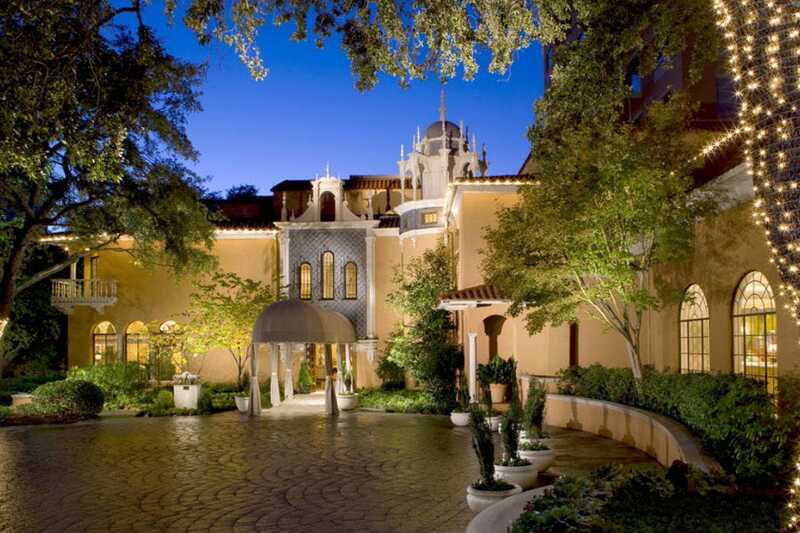 Dallas visitors who really want to plan an over-the-top luxurious getaway should book a room at the Rosewood Mansion on Turtle Creek in the exclusive Highland Park neighborhood. This elite hotel has received a broad plethora of honors and awards, including the #1 ranking for service by the Zagat survey. The hotel features a fitness studio, complete with a sauna and massage services, an outdoor heated pool with poolside service, and complimentary dry-cleaning, shoe shining and an onsite concierge who can score tickets and reservations at the most sought-after events and restaurants in town. And speaking of restaurants, dining at the onsite Mansion restaurant will be a treat in itself. The guestrooms at this luxurious hotel have fresh-cut seasonal flowers, 24-hour room service, custom bath products, terrycloth robes and minibars. Situated just minutes from Downtown Dallas, the Four Seasons Resort and Club at Las Colinas is the ideal place to spend a relaxing, luxurious weekend. The property is set on 400 acres that includes a TPC golf course, so it's a great place to take your favorite golfer. While he's hitting the links, you can indulge yourself at the onsite spa or fitness center, which has indoor and outdoor running tracks, sports courts, sauna, steam room and hot tub. Other hotel amenities include four swimming pools, which feature seasonal frozen fruit, a pool bar, chilled towels and Evian spritzes. 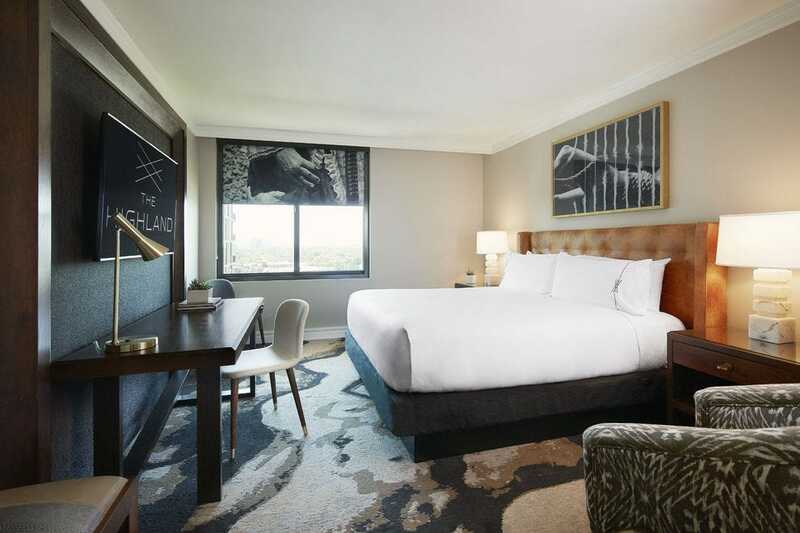 The guestrooms feature breathtaking views of the golf course or the Las Colinas skyline, elegant decor, and marble bathrooms with glass-enclosed showers, soaking tubs and dual vanities. If you want an upscale hotel in Dallas, the Crescent Court in the Uptown neighborhood can't be beat. 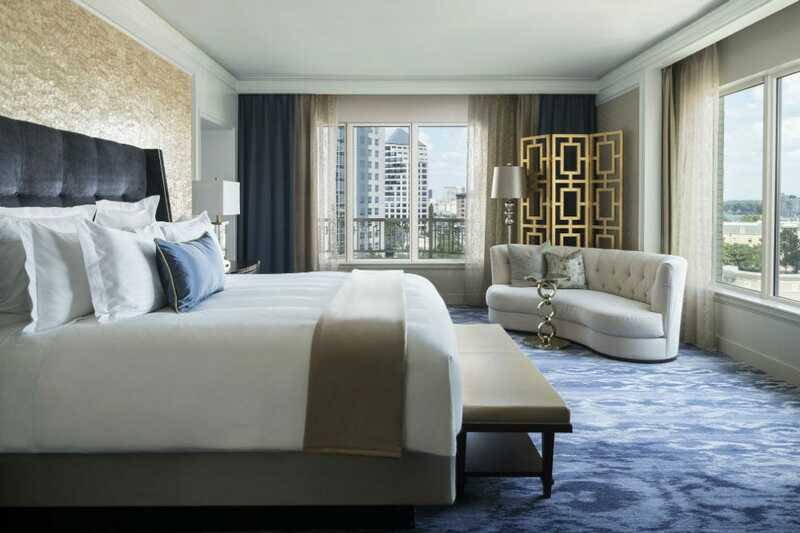 This elegant hotel has a number of luxurious amenities including several great onsite restaurants (Crescent Club and Nobu) and the award-winning Spa at the Crescent, so you can treat yourself to a weekend of true indulgence there while you're in town for the game. Relax at the pool, where poolside service is standard, or stroll around the beautiful hotel's courtyard area. After the game, relax in your room. The guestrooms there feature 24-hour room service, nightly turndown service, French doors, separate vanities, flat-screen televisions and minibars. 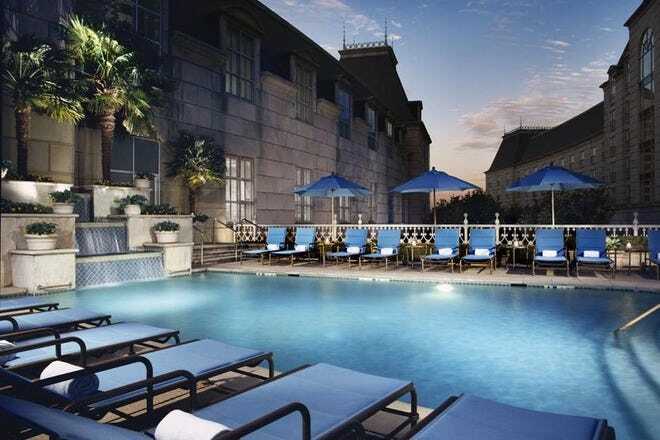 Located in the vibrant Uptown Dallas neighborhood, the luxurious Ritz-Carlton is located within walking distance of a myriad of restaurants, clubs, galleries, shopping, the Dallas Arts District, Victory Park, and American Airlines Center. It features the onsite restaurant, Fearing's, by renowned Chef Dean Fearing, as well as the largest luxury ballroom in central Texas. The 12,000-square-foot Ritz-Carlton Spa features 12 oversized treatment rooms, men's and women's Healing Waters (a complete hydrotherapy experience), full-service salon, state-of-the-art fitness center, exercise and movement classes, relaxation and refreshment areas, luxurious locker rooms, wellness counseling, the exclusive Prada Beauty skin care experience, and a menu of treatments.